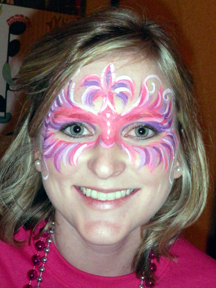 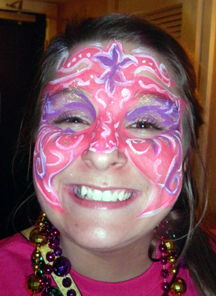 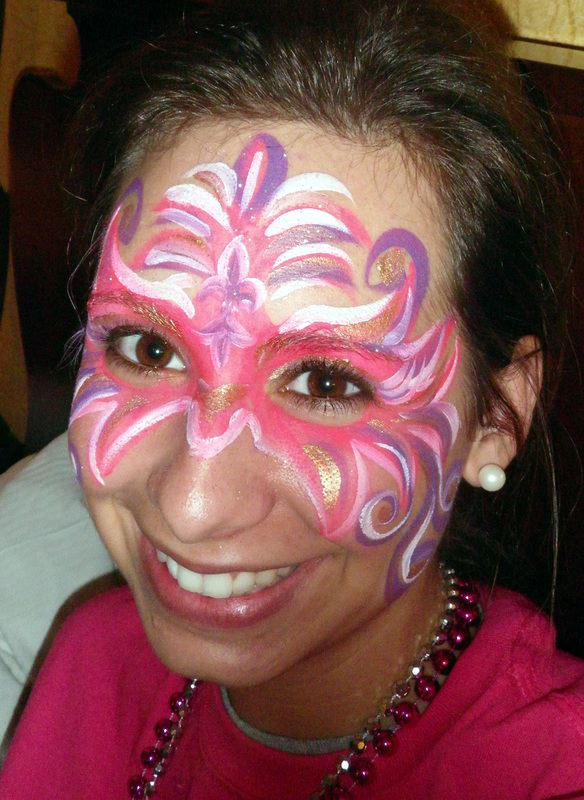 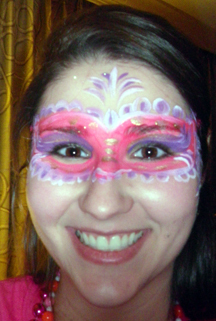 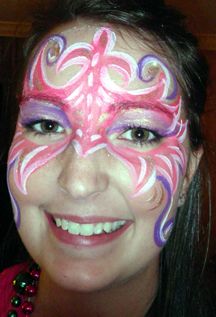 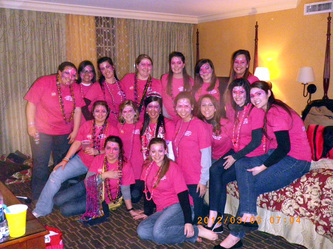 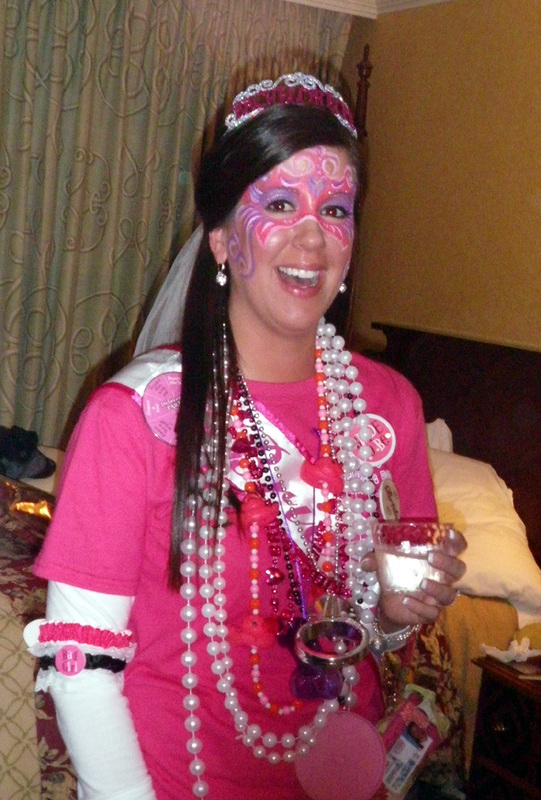 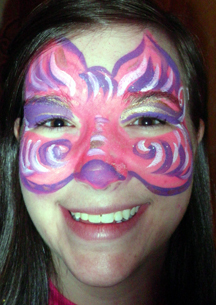 Face painting is quite popular at New Orleans bachelorette parties! 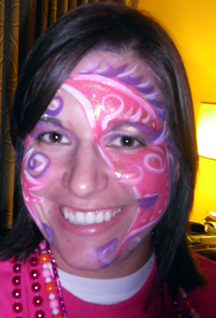 I have never painted at a wedding, but I have done several bachelorette parties. 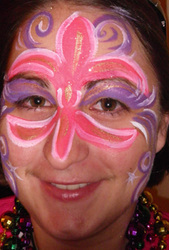 The challenge for a face-painter is to paint everybody with the same colors if the whole group wears the same color t-shirts or clothes - here are pictures of ladies with different designs in the same colors. 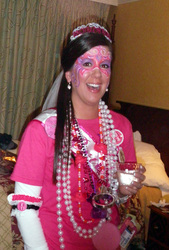 Of course, if ladies are wearing different clothes - I just match the clothes they are wearing. 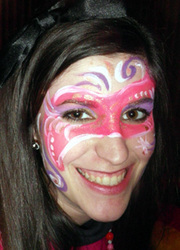 and paint whatever they want - like at any other party for grown-ups. 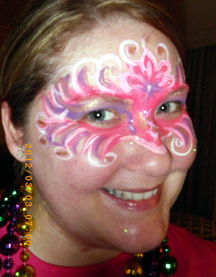 Mardi Gras masks are the most popular choice.